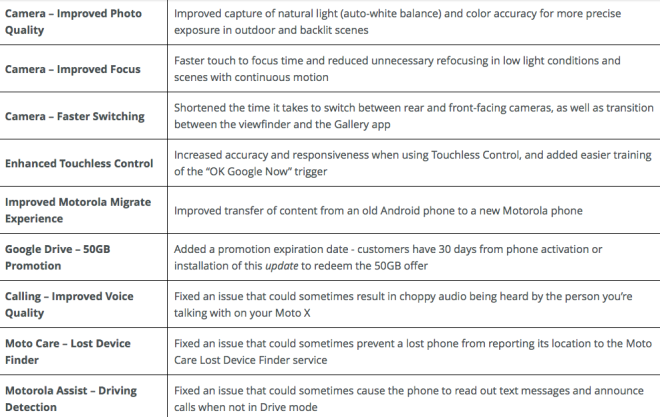 Updated: Motorola’s full change log is now live. Some good news for early Moto X buyers on T-Mobile as a new software update is rolling out with “dramatic” camera improvements. The Moto X was a device I gave high remarks to in my review but specifically called the camera as an area that needed work before the device could really hit the levels of the Galaxy S 4 or HTC One. As anticipated, a software update is rolling out with improvements to the Moto X shooter and a number of sites are already calling it a big improvement. Unfortunately my unit is of the AT&T branding, so no update has arrived on that end…but T-Mobile branded Moto X customer should be on the lookout for the update. There’s some pretty measurable test results on both AnandTech and Droid-Life so hit the links if you want to see the “in person” differences with the “before and after” quality. I haven’t found any word on when this roll-out will go widespread but if you’re a Moto X user, I’d be eagerly awaiting its arrival. Check out my vids for a few awesome APPS on your android moto x or any other! HUGE improvement for me. I hope the DEV edition comes with the fix because I’m returning my tmo one for it. I’d like to see some sales numbers on the X.
I’ve read several reports that they are shipping 100k phones per week out of their Texas factory. I saw that article too but shipping is not the same as sales. So why ship 100K devices a week when you’re not selling any phones? How do sell phones if retailers dont have them in stock? TMobile is smart by not carrying this dog. 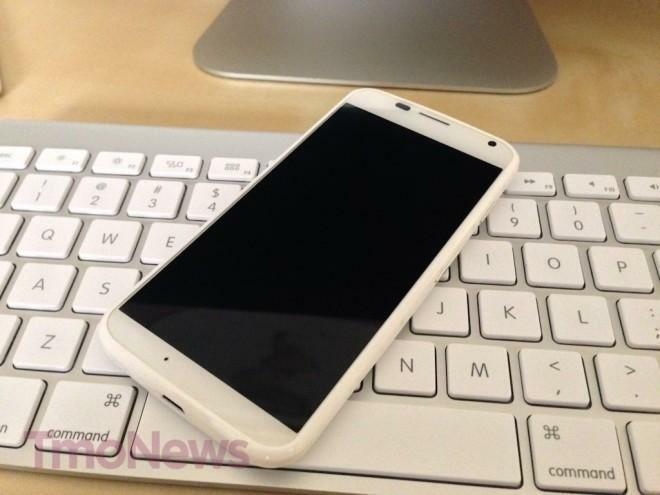 Moto X is the most generic-looking smartphone ever made. Why anyone would buy it when for the same amount of money you can get LG G2 with much better specs is beyond me. My thoughts exactly. I saw it a store and thought it looked like something from 3 or 4 years ago. Not impressed. Really liking the LG G2. Just wish it had the SD slot. I thought I would get use to not having one on my N4. Nope, Still miss my 64gig card. You guys have got to be kidding me… Because the front is just a screen its the most generic smartphone ever? The back is as distinctive as it gets… You can’t tell the g2 from the s4 from a distance (front or back) and the ergonomics of the phone far outweigh the gs4 and g2. FAR outweigh. If and when T-Mobile gets customization in moto maker. It will be an even bigger differentiator. I think the moto x looks really impressive, but I heard some bad things about the speaker(not very loud). Anyone care to confirm? the speaker is plenty loud, the only flaw is that it is on the back. Don’t even try to convince them Dominic, we can’t fix ignorance. This phone has gotten so much hate from the spec geeks its not even funny. To bad it runs smoother than those quad core phones. Agreed. I saw in in Best Buy and was really disappointed. Easy, LG’s track record with glitchy software with flagship phones and lack of updates. Why would I buy the G2, when there’s a very high chance it’ll get abandoned soon for updates and based on previous history, it’ll have all kinds of software issues. i guess we should give up on getting that S4 update then. I wish this phone was priced like a Nexus phone. Or like Republic Wireless’s price for it, $299. where is the wifi calling? Ain’t going to happen I suspect.